Restoration of the space once known as Waterworks Restaurant in Winooski's Champlain Mill began early this year, and diners can expect the new restaurant to open in late November. Following precedent, it will be known as Waterworks Food & Drink. Waterworks owner David Abdoo also co-owns Pizzeria Verità; his co-owner at the latter, Leslie Wells, is helping him with managerial tasks at the new restaurant. Wells says Waterworks will serve a diverse, contemporary American menu inspired by the workers of many ethnic groups who once toiled at the mill. The on-site Heritage Winooski Mill Museum traces the contributions of Italian, Middle Eastern, French Canadian, Irish and Polish immigrants, all of whose cuisines may influence the bill of fare. "We've come full circle in the cuisine that we'll have," says Wells of the building's history. Chef Sergjio Shantoja will lead the kitchen. Following a national search, Abdoo and Wells flew the Boston native out from San Francisco so they could try his food. Most recently executive chef at Urban Tavern, the gastropub of the Hilton San Francisco Union Square, Shantoja had already spent time in Vermont, Wells says. "He's used to a big kitchen and having a lot of people work under him." Wells says one of Waterworks' primary goals is keeping a friendly price point. "We definitely want to keep it affordable, with it being first of all in Winooski. We want the flavors of Winooski, as well," she says. That means small plates, shared plates and "a really great burger." Higher-priced items may appeal to larger parties or employees of MyWebGrocer — the restaurant's neighbor — looking to wine and dine business associates. 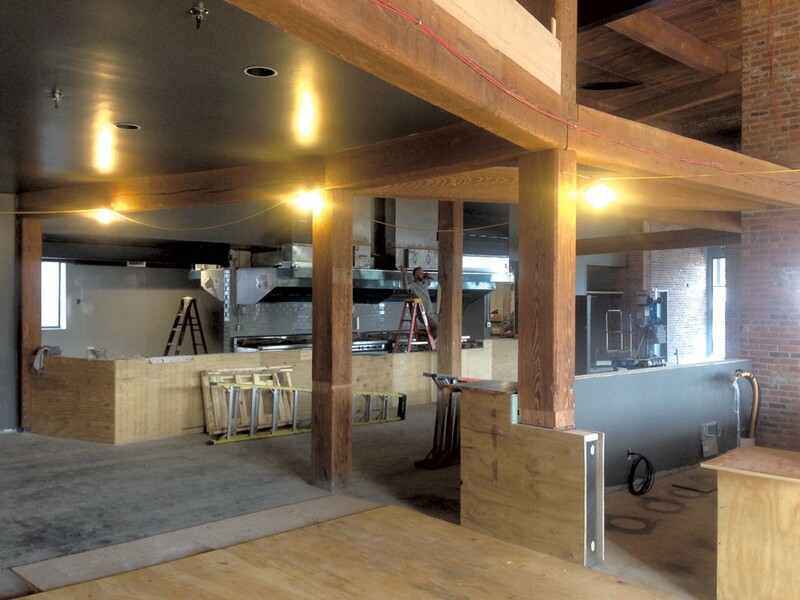 As at Verità, a wood-fired oven will be a centerpiece. Wells says roasted chicken halves will be finished amid the flames. While some diners will surely stick to familiar dishes, such as poultry and patties, others may be enticed by more adventurous choices, like a whole branzino. Shantoja is currently in the process of hiring additional cooks and bartenders. Check upcoming Side Dishes for news.